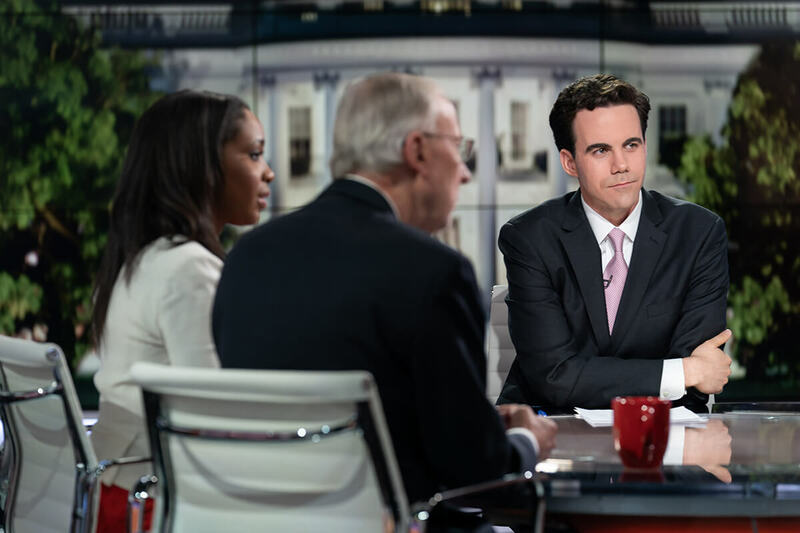 Since graduating from the University of Notre Dame in 2008, Robert Costa has become a national political reporter for the Washington Post, a political analyst for NBC News, and the host of television show “Washington Week” on PBS. He considers his time abroad in London a formative experience that helped shape his entire career. From day one at Notre Dame, Costa knew that he wanted to take part in the London Program. While in middle school, his family had moved to a town called Iver in Buckinghamshire, just outside of London, and he remembers falling in love with the city. Costa also knew he wanted to take advantage of the internship program that London offered. He considered applying for a post with his now employer, NBC, but decided to go for the parliamentary internship at the House of Commons. This decision proved to be pivotal, giving Costa an up-close view of British politics and a deeper appreciation for the importance of debate. This proximity to the halls of power allowed Costa to meet some of the world’s top politicians, including David Cameron, who was the leader of the opposition at that time. Opportunities arose to meet other individuals who would guide Costa’s journey to where he is today. It was in the Houses of Parliament that he met Andrew Gamble, a politics professor from the University of Cambridge, who invited him to apply to Cambridge to pursue a master’s degree in politics. 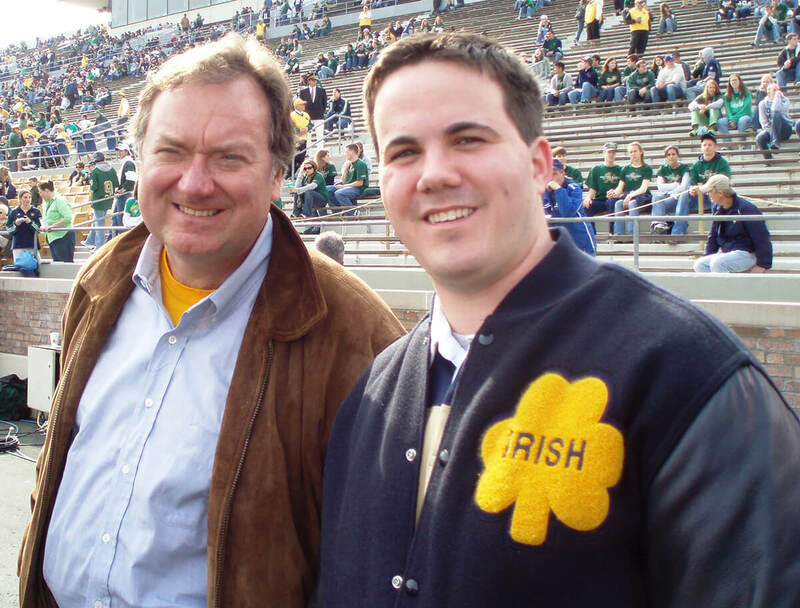 This encounter led Costa to return to the UK and continue studying after he graduated from Notre Dame, with Gamble becoming his advisor. “I would not have had the opportunity to go to Cambridge had I not studied in London and I never would have fallen in love with history of US/UK relations if I had not studied in London,” Costa reflects. Costa believes the advantages of studying abroad go far beyond the classroom. Living in the heart of central London, he was able to learn about the rich history of the UK just by walking around the city. Important sites such as the Imperial War Museum and the Cabinet War Rooms were on his doorstep, igniting his interest in World War II and leading political players such as Churchill and Roosevelt. His fascination with the country continued into his postgraduate studies, where he focused on Churchill and US/UK relations. As well as being steeped in history, London is also rich in diversity, giving students the opportunity to meet people from other backgrounds, cultures and faiths. Through everyday interactions and relationships, Costa was able to deepen his knowledge of the world, and of himself as a citizen within it. 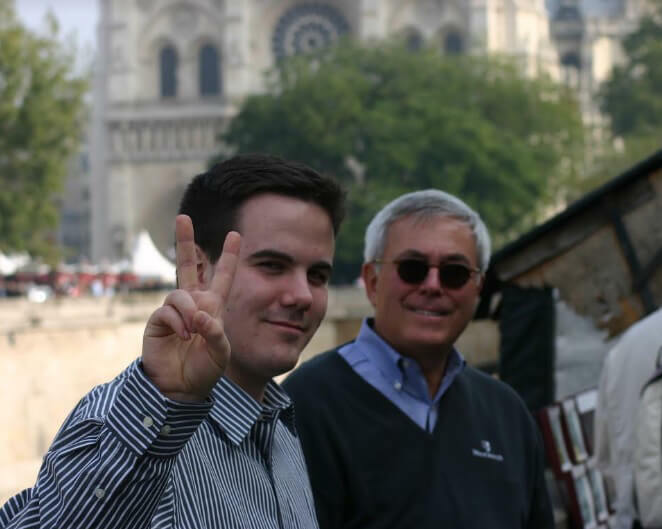 Costa found that his insatiable appetite for exploring London led him to gain a deeper understanding of the city, and allowed him to build friendships with people who dealt with very different issues from his Notre Dame classmates. The Polish pastry shop owner and his family taught Costa about immigration and how hard they had to work to make ends meet. He met Muslims from Africa who taught him about their experience in London. He counts these experiences outside of the classroom as the most revealing and instructive parts of study abroad. Reflecting on his time in London, Costa realizes that it was his semester abroad that taught him to always be a listener first, a quality that makes him an exceptional political reporter today. Where most people would find balancing three high-profile jobs overwhelming, Costa sees it as a privilege, and a means by which to listen and understand the political climate. Costa spent a lot of his time in London reading the Financial Times and the Times of London. He saw a growing movement that has shaped contemporary politics. The rise of nationalism was not a major topic in the news back in 2007, but Costa saw the growing interest in independence parties such as UKIP and heard the rumblings of a political shift. “In the London Program, I started to learn about nationalism and populism and thinking about those issues helped me as a journalist years later to really grapple with them as they took hold in the U.S and around the world,” states Costa. 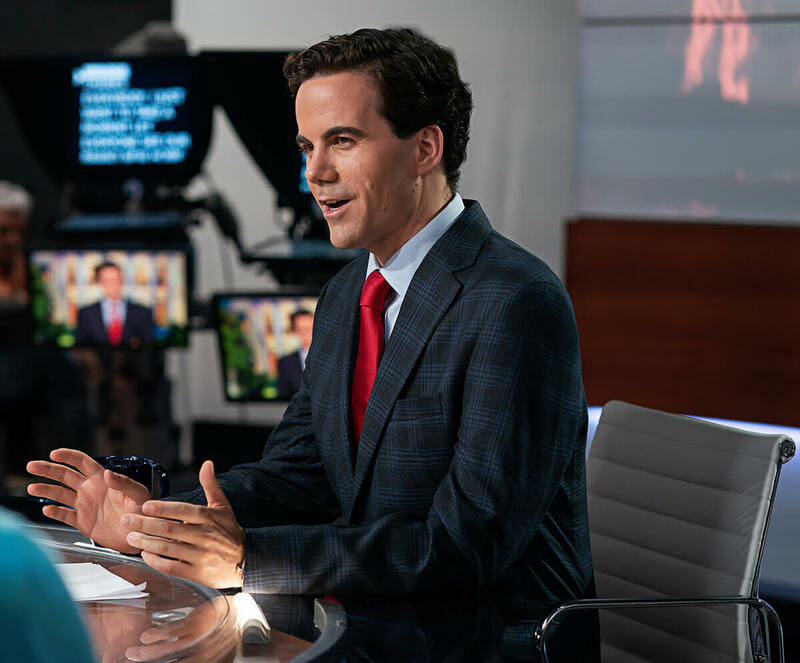 In these turbulent political times, where journalists can face attacks from certain individuals, Costa admits that his job is not always easy. He is adamant, however, that it is the role of the media to provide readers and viewers with in depth and accurate information. To truly succeed at this, Costa believes that journalists must possess both humility and objectivity, and to understand that they are the storyteller and not the story. Costa has an anecdote for when he is asked how he deals with the tumultuous nature of American politics, and it has to do with his time as a Parliamentary intern in London. “I say I used to work as a student in the House of Commons and believe me, you haven’t seen crazy and wild until you’ve been in the House of Commons,” laughs Costa. Being close to British politics as a student was thrilling to Costa. Sitting in the galleries and listening to the politicians down below, riotously debating, laughing and reacting was enthralling for him. It showed him how politics could be both lively and informative, giving him a deeper appreciation for the importance of debate. The boisterousness of the House of Commons equipped him well for the future, particularly as politics becomes more unpredictable in the U.S and across the globe. Unrelated to politics, Costa mentions some of the most illuminating and fun moments spent in London were in the West End. He would go to the ticket booths and buy last minute or discounted tickets, seeing a wide range of performances, musicals and shows. “It was really a way to see the world in a new way and get more involved in the arts, to learn about the arts and drama in a way I had not previously,” reflects Costa. Through studying abroad, Costa was constantly finding these new ways to view the world, whether in the classroom, on the street, in his internship, and even by just catching an evening show in the West End. London gave him a greater cultural awareness, and a thirst to keep discovering more about the world, and about himself. It is perhaps why, despite his busy work schedule, Costa is committed to giving back to his alma mater, having recently served on Notre Dame’s board of trustees and currently holding a position on the advisory board of the Keough School of Global Affairs. Costa’s commitment to providing readers and viewers with in-depth and reliable information makes him one of the most respected political reporters and journalists in America today. His time in London allowed him to see the world through a new lens, and he is certain this contributed to his personal and professional journey. Originally published by Joanna Byrne at london.nd.edu on February 07, 2019.